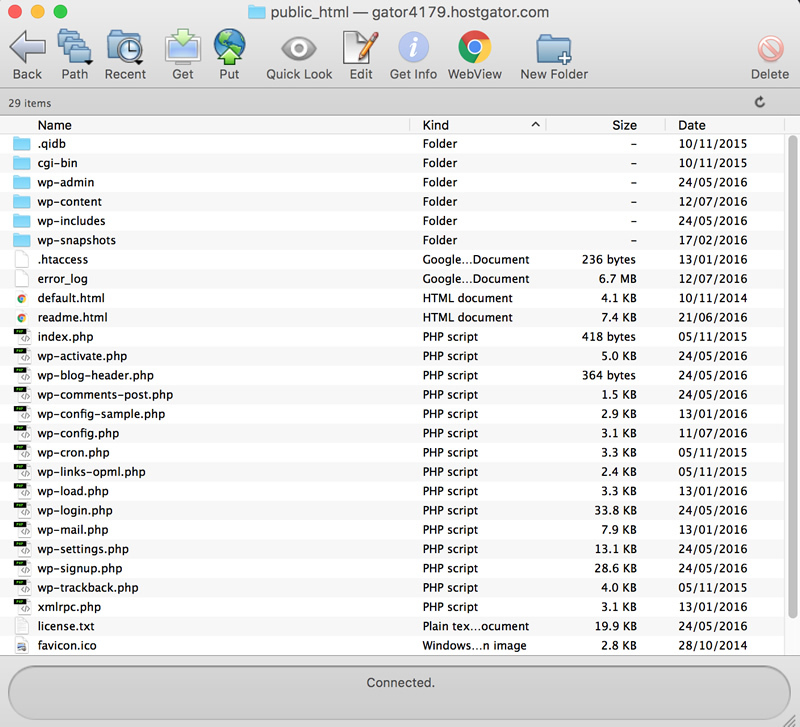 FTP is really useful when you need to access the raw files on your website hosting. You see WordPress website are just a collection of files on your server. Usually you can do everything you need via the WordPress backend, but sometimes, like when you need to update a Theme or a Plugin you need to connect via FTP so you can do some uploading and downloading. Once you connect to FTP it works just like Windows or Mac OS. You can copy and paste and drag and drop files from you computer to your web hosting and vice versa. Get you FTP details from your website hosting company. They are often the same as the username and password that you login to your hosting control panel with and the “host” is usually your domain name. This is not always the case though so check with whoever you’re with. Download an FTP client. I love Fetch for Mac but I hear that WinSCP (I may of said WinFTP in the vid!) is good for Windows computers. I also here Filezilla is good. Hit connect and you should be able to see all your files and folders. You can now work on it like any other files on your computer..
As always, if you have any questions, leave a comment below..